Parking garages owned and managed by municipalities need to be kept clean. People who park in a dirty parking garage may think that the whole city is a dirty and uninviting place. This can lead to complaints to municipal employees and even hurt tourism and business creation. It only takes a moment for people to form a first impression, including when they’re in a parking garage. Many people assume that the general public doesn’t really notice the state of the parking garage. It’s just a parking garage, isn’t it?. They park their car and then go about their business. However, there has been a shift in the past couple of years in what people notice and how willing they are to complain about it. And complain they do! Having a dirty parking garage can lead to municipal employees dealing with complaints. The people who complain may even do so to their friends and on social media which can lead to bad publicity for a city. By having a clean garage (and clean streets as well), a municipality can avoid negativity and avoid conflicts. 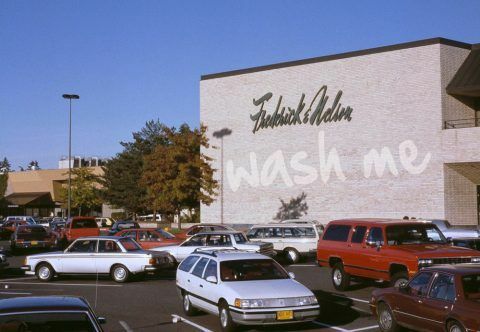 A public parking garage should be cleaned once a year by a professional garage scrubbing firm. Beyond just removing negative visual impressions caused by day to day dirt buildup, garage scrubbing will also remove potential health issues that occur. What Does Garage Scrubbing include? Is this where you want to park? In a dirty, dark, grimy parking garage? CREEPY! Grime is something that occurs as oil dirty builds up over time. It not only looks gross but it can also be slick leading to falls. 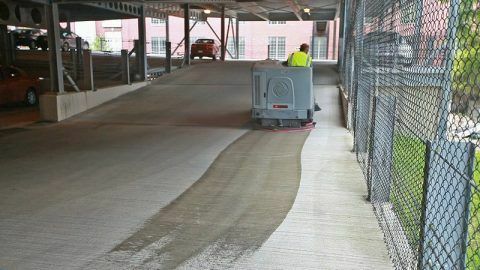 These cleaning companies have the equipment to strip grime out of a parking garage. Cars with mechanical issues leak oil and grease onto parking spots. This discolors the parking spots and is visually unappealing. Cleaning the parking garage once a year will remove this unsightly appearance. Plants can grow in parking garages. It might come from vegetation that has blown in and built up. An annual cleaning will remove all of the vegetation from the garage where moss or other tenacious forms of life have taken hold. Mold loves damp places in parking garages. This can cause health issues for people who have respiratory issues or allergies. Even healthy people can be harmed by toxic molds. Mold in a parking garage also signals people that it isn’t maintained and is in a state of neglect. An annual garage scrubbing will remove animal droppings such as bird and rat feces, dead animals, and feathers. These not only look unsightly but are also potentially dangerous to people. The droppings of birds, for instance, can contain some 60 different diseases. 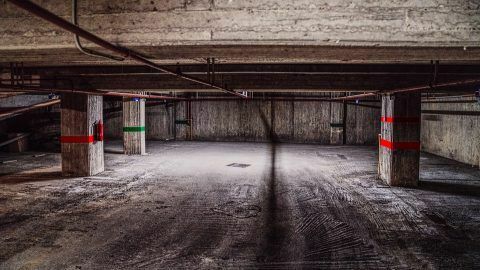 Municipalities can hire a professional garage scrubbing firm to clean their parking garages once a year. They will want to pick a vendor with a great track record of customer satisfaction and exceptional follow through. 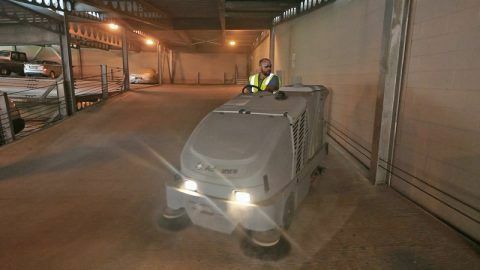 This includes having the knowledge and experience of how to effectively remove undesirable substances from a parking garage, staying on budget and getting the job done quickly. When the garage cleaning project occurs it will need to be closed off to the public while the work is performed. Any regular tenants and clients of the garage should be informed multiple times before the day of cleaning occurs. Notices should also be set up online including on social media, through emails, and on the municipalities website. It’s also a good idea to place signs in the parking garage so people know when they won’t be able to use it. Do you need an experienced, resourceful garage scrubbing vendor for your parking garage?. C & L Services is a third generation family owned property maintenance company. We have been scrubbing and servicing shopping centers, commercial properties and communities in New Jersey for over forty years. 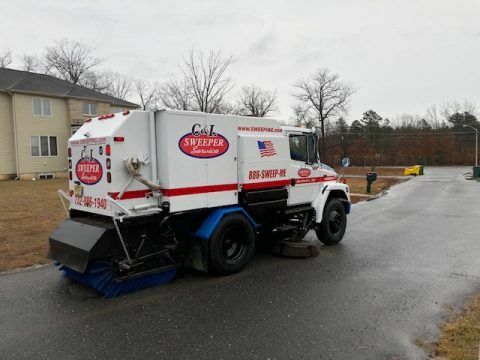 Our services include parking lot sweeping, municipal sweeping, and construction sweeping. We can help you keep your property in excellent condition with reliable, dependable, cost-effective services. If you’re in North Jersey, Contact us at 908-730-7884. If you’re in Central New Jersey call us at 732-886-1940 to speak with an experience company that can meet your needs for garage scrubbing.